Are you a soda drinker? Do you let your kids drink soda? What I’m about to tell you may shock you, but I hope you’ll still love me at the end of the day. I received this product for free from the sponsor of the Moms Meet program, May Media Group LLC, who received it directly from the manufacturer. 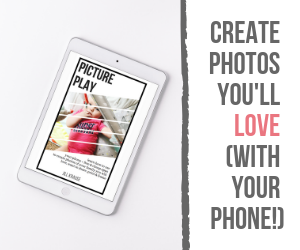 As a Moms Meets blogger, I agree to use this product and post my opinions on my blog. My opinions do not necessarily reflect the opinions of May Media Group LLC or the manufacturer of this product. I don’t drink a ton of soda, but I do enjoy a nice bubbly glass (bottle, can) of soda about 1-2 times a week. I usually reserve my soda intake for when we go out to eat. We usually have a bottle of soda in the house for mixed drinks (Coke, rum, and a splash of lime….enough said). We limit the soda intake in our kids but we don’t restrict soda completely; again they don’t get it at home and usually only ask for it when at a restaurant. I applaud parents who can be strict about their families soda intake, but I don’t feel like it’s fair for me to restrict my kids from drinking soda responsibly. They are both old enough now to know how to make healthy choices and usually prefer juice and milk anyways. I was excited to try Zevia since we do like the occasional soda. I was even more excited when I received samples of all the 15 different flavors for our family to try. The available flavors include cream soda, ginger root beer, Dr. Zevia, Strawberry, Grape, Orange, and some other popular soda flavors. It’s taken us over a month to work our way through the samples we’ve received and my kids are sold! They honestly cannot tell the difference between regular soda and Zevia. I think they prefer the Zevia because of all the fun flavors (which we don’t normally keep in the house with regular soda). I personally love the cream soda and Dr. Zevia myself. Why is Zevia different? 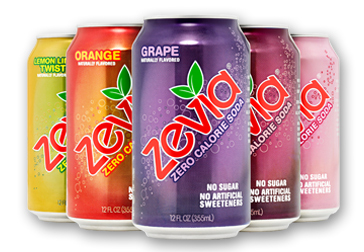 Zevia is a zero calorie soda that is sweetended with a unique blend of high purity Stevia (grown in the US) and Monk Fruit. That’s right, Stevia is a plant! Zevia contains no artificial sweeteners, no sugar, and is caffeine free. Zevia is Kosher, vegan, and gluten-free. Is Stevia really safe? Here’s my take on this one, Stevia was approved by the FDA around 2008. Having FDA approval doesn’t necessarily make something safe, no! It is a healthier alternative to traditional soda. I don’t truly feel like we have enough long term data to support how healthy Stevia is (or isn’t). It’s not something that I would allow my kids to drink daily and it’s not something that I would want to drink myself every day. For the occasional soda-fix, I feel like Zevia is better than traditional sodas which are packed with sugar, artificial sweeteners, and who knows what else! I would recommend that you do a quick Google search for “Is Stevia Safe” and determine if it’s something you want to try. Zevia does contain processed Stevia that some natural and real food experts warn against using. Zevia does a good job on their website showing why Stevia is different than Aspartame. For even more information on Zevia, Moms Meet has a great informational section along with videos. Again, this is something that you’ll have to research on your own to decide if it’s right for you. There, my secret it out – I drink soda! I drink Zevia! I may be an eco-friendly blogger, but I’m also honest. Being green doesn’t have to mean only one shade of green! When it comes to healthy food and drinks, I tend to be more light green…but that’s a story for a different day! I’d love to hear your soda confessionals! Do you have a guilty pleasure? Do you let your kids drink soda or is it completely restricted in your house? Leave your comments below!! I have no idea whether switching BACK to sugared stuff would be better than a ‘plant alternative’ or not. But we’re still drinking tea instead, and that we use equal/aspartame in.. but I’ve had more water lately, as well. so I guess all in all that’s good? lol. If only I liked ‘plain’ milk… that would be awesome! Stevia has been used for HUNDREDS of years and has documented proof of safety. It regulates blood sugar, prevents cavities, promotes the healing of skin wounds, etc. The reason the FDA “just” approved it was all greed. In the early 1900s the sugar industry raised a ruckus over stevia because it would hurt their profits. The FDA, having their hands in that pot, also knew that would be less money for them. Therefore, they banned its use in manufactured products but allowed for the sale of Stevia on its own. Stevia has been used for hundreds of years in south america and has been used in europe and asia, though they ban the use of the dangerous artificial sweeteners that are “fda approved” in the states. I’m pretty surprised to see the line saying there isn’t enough long term data about Stevia.